Founded in 1903, then redefined in 1993. Tiger of Sweden is clothing with a proud attitude. Scandinavian Fashion with a different clean cut in high quality. Superb menswear designers like Tiger of Sweden have redefined men’s casual wear to bring you fashion that’s anything but frumpy. 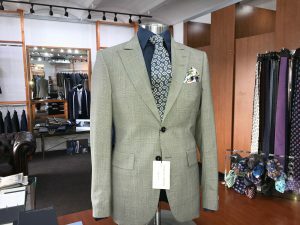 Now, with labels like Tiger of Sweden, everything from coats to suits can be fresh and unique, letting the wearer express his individuality while being able to wear them again and again. Tiger of Sweden men’s clothing is a wonderful collection which delves into the fashion know-how of Swedish designers, producing new spins on old classics.